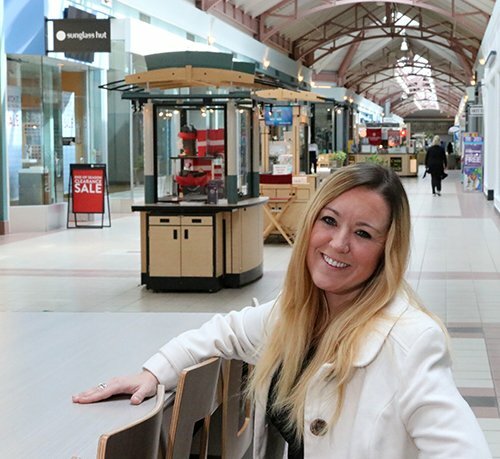 In a challenging retail environment that has seen dozens of malls close around the country, Steeplegate Mall in Concord, once the poster child of failing shopping malls, has managed to get another lease on life by embracing a new approach for non-retail tenants. Opened in 1990 with a strong set of so-called anchor tenants, Steeplegate has struggled over the past decade with the closing of anchor stores such as Circuit City (2009) and Bon-Ton (2018). Other name retail brands, such as Gap, Radio Shack, J Jill, Old Navy, American Eagle, Aeropostale and Abercrombie & Fitch, have come and gone. Additionally, the mall has gone through new ownership groups over the past five years. After lenders such as Wells Fargo took control of the 50-acre property, New York-based Namdar Realty Group bought the property for $10.4 million. Steeplegate still retains Sears and JC Penney as traditional anchor tenants, but the looming question is for how long. Both iconic retail brands have been under financial siege for years as shopping habits and a dramatic surge of online buying have turned the industry upside down as malls across America have closed. A 2014 Bloomberg News article about Steeplegate was titled “A Dying Mall in Concord, New Hampshire.” But it turns out that was an obituary before the fact. Steeplegate has persevered by becoming what some in the industry call a new model of “consumer engagement spaces” to meet the demands of current and future shoppers. In 2016, the community-based volunteer theater group Hatbox Theatre opened its doors at Steeplegate. Capital City Charter School opened last September in the former Bon-Ton space. A few months later, an Altitude Trampoline Park franchise opened in the 35,000-square-foot space formerly occupied by Circuit City. 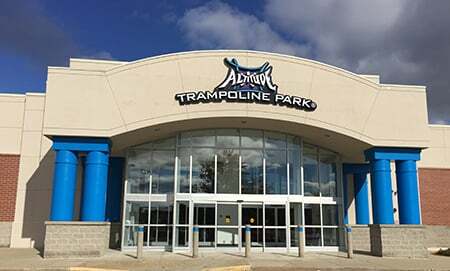 Altitude Trampoline Park filled a key spot at the Steeplegate Mall. Commercial brokers Deana Arden and Judy Niles-Simmons of NAI Norwood Group, who work with Steeplegate Mall management to fill vacancies, said it is a challenging environment for the industry, but there are local, personal experience solutions that can make them more attractive. “The national trend in retail has been more of a shift to experienced based retail and we feel that the Steeplegate Mall is becoming a local example of that model,” Arden said. “We are trying to fill vacancies by focusing on food vendors and entertainment, hair salons and services-type industries,” Arden said. These tenants are mostly local, offering services and experiences consumers can’t get online. Arden worked with Payne to find the right location for the company’s second trampoline park in the state. Arden declined to say the vacancy rate at Steeplegate Mall, only that there are vacancies, and Namdar Realty did not reply to a request for comment. “Retail at indoor malls are a difficulty area right now,” Arden said. But there are opportunities. Malls during transformation from a predominantly retail model can offer lower lease rates — as low as $10 to $12 a square foot at Steeplegate — and tenants can take advantage of a known location, abundant parking and destination consumer traffic. Arden said Steeplegate is on the verge of adding major tenants, including a possible anchor. “While it is premature to announce any of the leases that we have been pursuing, we are pleased with the activity to date. We feel the customers and the other tenants will be pleased once our progress is announced,” she said. Payne said his trampoline park has taken advantage of its location and the trend of “experienced-based retail” in the mall industry. Andrew Pinard, executive director of Hatbox Theatre, a volunteer-led theatre that opened its doors at Steeplegate Mall. 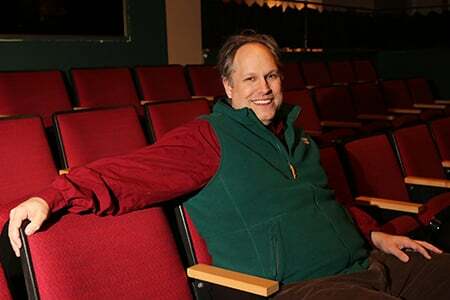 Andrew Pinard, executive director of Hatbox Theatre, said his group had searched for a while to find “an intimate space” they could afford. Steeplegate offered a dramatic alternative to the typical, cramped downtown venue, he said. They have 4,500 square feet of space and have expanded to lease the former Radio Shack location for storage space. Over the past three years, Hatbox has drawn more than 16,000 patrons to its nine to 12 shows a year. Despite high electric heating costs in the winter, Pinard said he never has to worry about production space or audience parking. Carlos Baia, Concord’s deputy city manager for development, said Steeplegate Mall’s future may be even more transformative. The city has talked to the mall’s owners about a long-term redevelopment plan that could include residential housing as part of the mall experience. The mixed-use concept is catching on in the industry. In Keene, the former Colony Mill Marketplace began transformation in late 2017 into a residential housing complex of 89 apartments. Baia believes a residential housing increase as part of or right near Steeplegate Mall could enhance the entire Concord Heights area. Also, despite its struggles, the mall has not become an economic drag to the greater commercial neighborhood, as other troubled or closed malls sometimes have in other parts of the country. It may need to evolve further to survive because the trends are challenging at best. A July 2018 Business Insider photo essay captured dozens of recently closed malls, some in prime demographic locations, in various stages of decay across the country. An estimated 8,600 retail stores closed in 2017, according to a Credit Suisse report. The trigger effect could lead to an estimated closing of as many as 2,700 malls nationwide — 25 percent of the U.S. total — in the next three to five years, which could lead to greater job and tax revenue losses to impacted cities and regions.